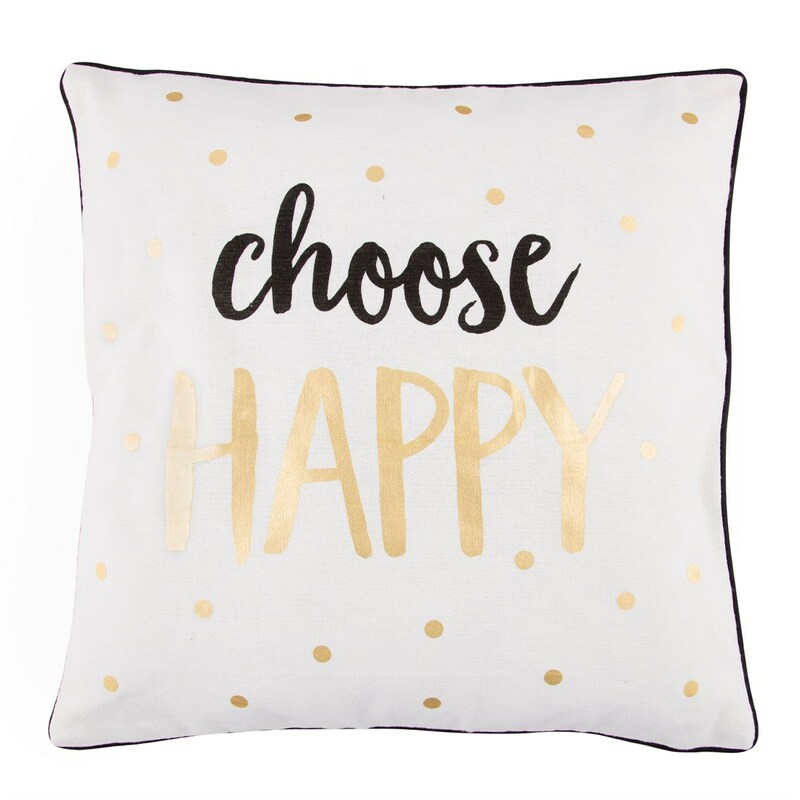 From our gold and monochrome range, a beautiful but simple monochrome cushion with shimmery gold spots. With a happy and inspiring quote of positivity. This versatile cushion will add charm to any area of your home.